April 14th, 2009 my wife and I welcomed our first daughter Alle Shea Collazo into the world. Alle was born with type II Osteogenesis Imperfecta (OI). OI is a genetic disorder characterized by bones that break easily, often from little or no apparent cause. Rolling over in bed or sneezing can cause a fracture. Type II is the most severe case of OI, At birth Alle had broken arms, legs, wrist and Alle's skull had many fractures. Alle lived a miraculous 5 weeks battling the brittle bone disease but, sadly on May 21, 2009, Alle passed away due to respiratory complications caused by OI. 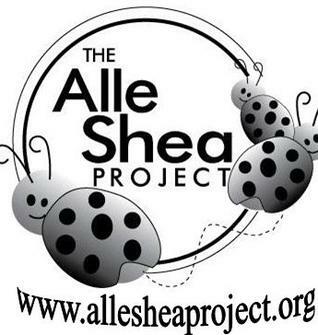 To honor Alle's brave fight we created the Alle Shea Project and with help from the OI Foundation we host various fundraisers to raise funds for research and to help support families with OI, we work hard to raise awareness of OI in Alle's name and to keep her fight alive. Please help us honor our brave Alle's battle by supporting our cause.